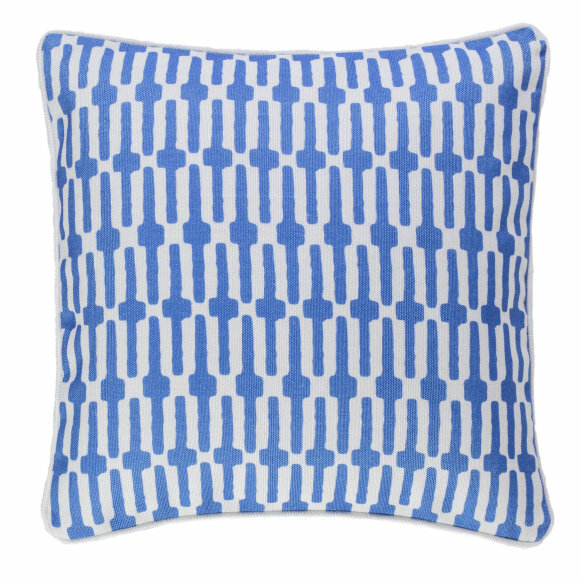 Surround yourself with bright holiday colours with our stunning cobalt blue 'Links' cushion from top brand Dash & Albert. 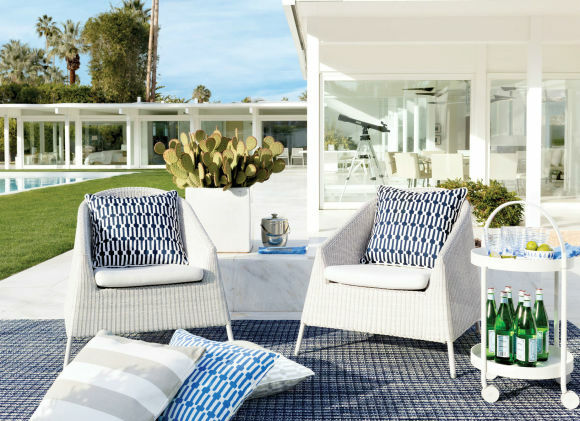 Perfect for adding that Med vibe to your outdoor space or garden room with the added benefit of being weather resistant, UV fade resistant and easy to clean. 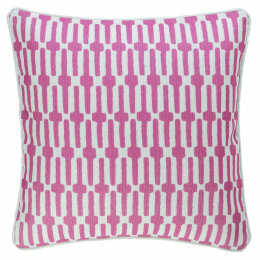 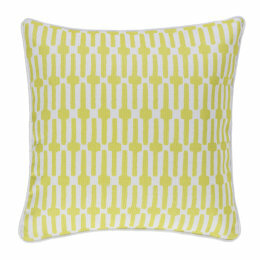 This large square cushion, made from eco-friendly recycled polyester, features a double-sided geometric print with classic white piping. 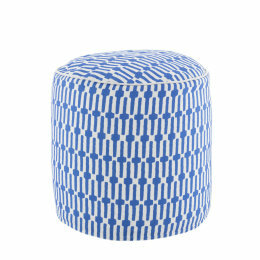 Complete the look with our 'Links' pouffes in matching colours.